Whether your business is transportation, warehousing, retail, healthcare, education, or anything in between – Ruckus Wireless has unique applications that fit your needs. By giving your organization better coverage, improved throughput, and interference avoidance you are empowering your workforce and investing in future growth. Above improved efficiencies, better Wi-Fi helps with customer retention and loyalty. See how SMART Wi-Fi from Ruckus Wireless – powered by IQbusiness, can improve your business. Easy to install, configure, and scale – Ruckus delivers businesses the power they crave with the simplicity they need. We all want Wi-Fi that simply works. You don’t have time to worry about a down AP, or customer complaints that the wireless isn’t working. Focus on what your organization does best and leave the tech to us. No other wireless provider on the planet delivers ubiquitous coverage like Ruckus. 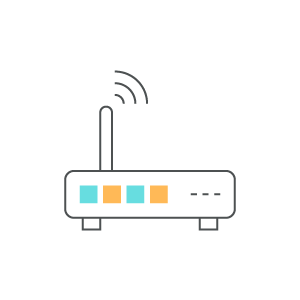 With SmartMesh technology and ZoneFlex APs with adaptive signal strength, Ruckus is able to deliver the most dynamic solution on the market. It adapts to any Wi-Fi environment ensuring your employees remain connected and productive; your customers remain satisfied, and all the while you can rest easy knowing you made the right investment. With fewer Access Points needed to deliver superior coverage you lower your capital expenditure. Because Ruckus Wireless systems are so easy to manage you can easily increase savings from reduced operational expenses. Lastly, with IQbusiness as your valued partner you will have a trusted resource that understands your business and is here to help you grow.